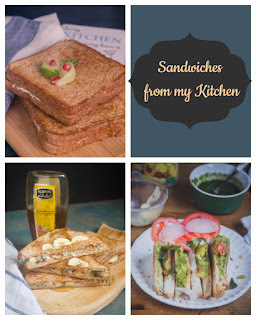 Sandwiches are a regular breakfast option in our place. Mostly during weekends, i always bake a loaf of Whole Wheat bread, incase we go out, my lil fella needs something to nibble, that too home-made,coz he is allergic to most of the store-bought food items. Even Chocolates, he likes only Lindt Dark Chocolate, the regular milk chocolates doesn't suit him!!! hmm, so with a loaf of bread in hand, sandwich is the quickest breakfast i make on a sluggy weekend morning!!! Boil milk in pan, add custard powder and sugar, whisk well until the custard dissolved completely. Keep aside until use. Peel and chop the banana into roundels. 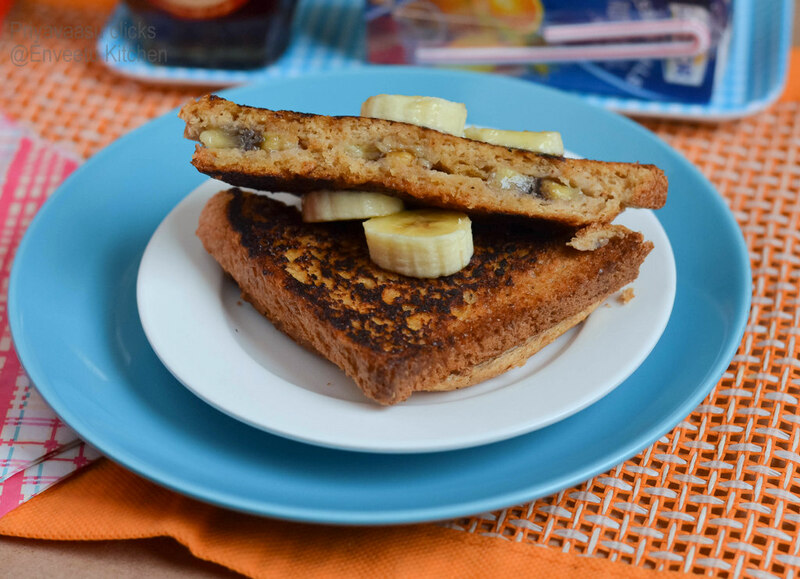 Arrange 6-8 roundels on a slice of bread, top with a tsp of walnut pieces, add 1/2 tsp of maple syrup, dab little butter on top and close it with another slice of bread. Heat a pan, add a dab of butter to it, hold the sandwich in your hands, and carefully dip one side of the bread into the custard infused milk, flip and dip the other side too.This should happen very quickly, do not soak the bread. Place the custard dipped bread sandwich on the hot pan and toast both sides using butter until golden brown. 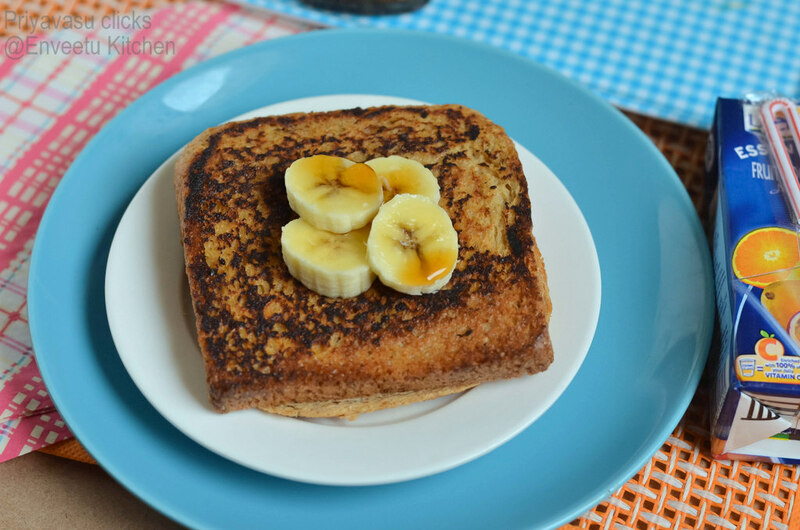 Serve hot with some sliced banana and little maple butter drizzled. Heathy combo........ Perfect for breakfast!! 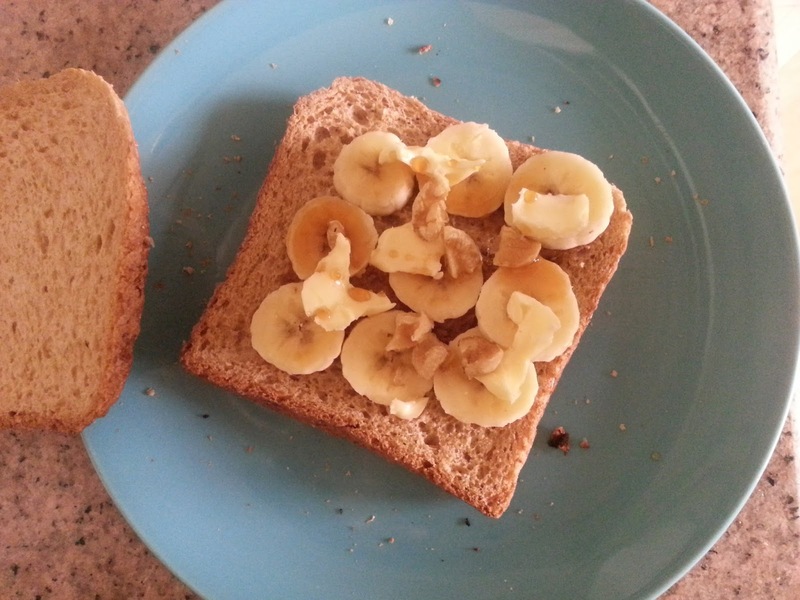 Yum toast and a filling breakfast. 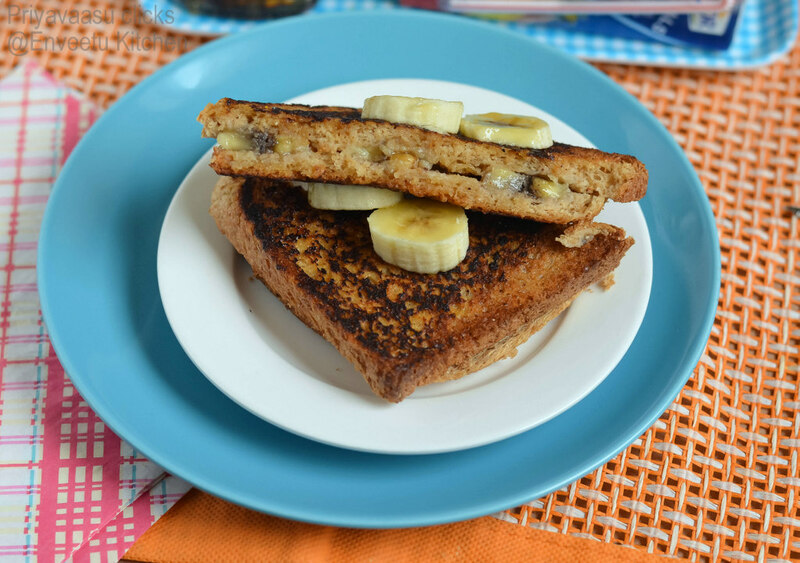 Very interesting version of french toast priya, if kids eat these it's so good right..
My younger one will have this toast without any fuss. haha.. your older one is smart. He even knows flax seeds are used as a substitute for eggs! Looks like a perfect breakfast. Wow he's been paying Attention. Wow, youe son is super smart :-) Situation in our house is almost similar with kid programs on tv almost all the time.